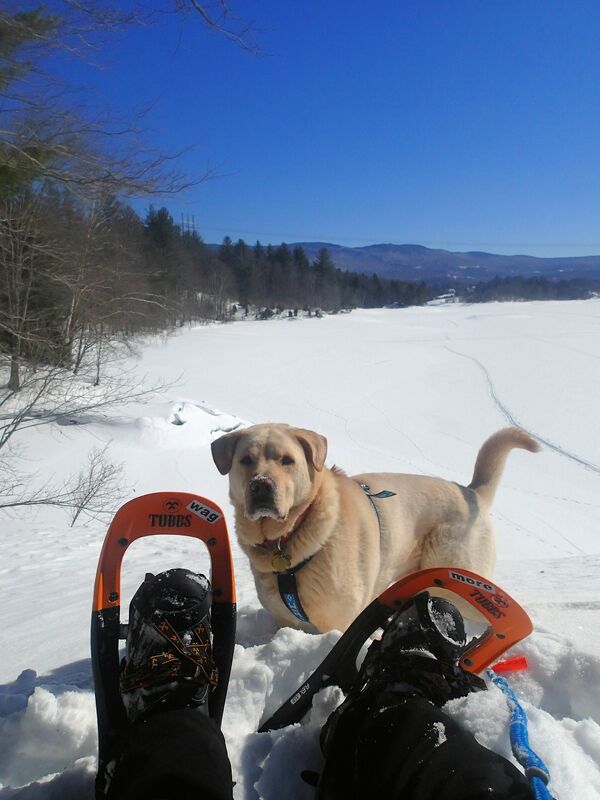 Farewell Frigid February Frolics….. | Vermont Paddle Pups! 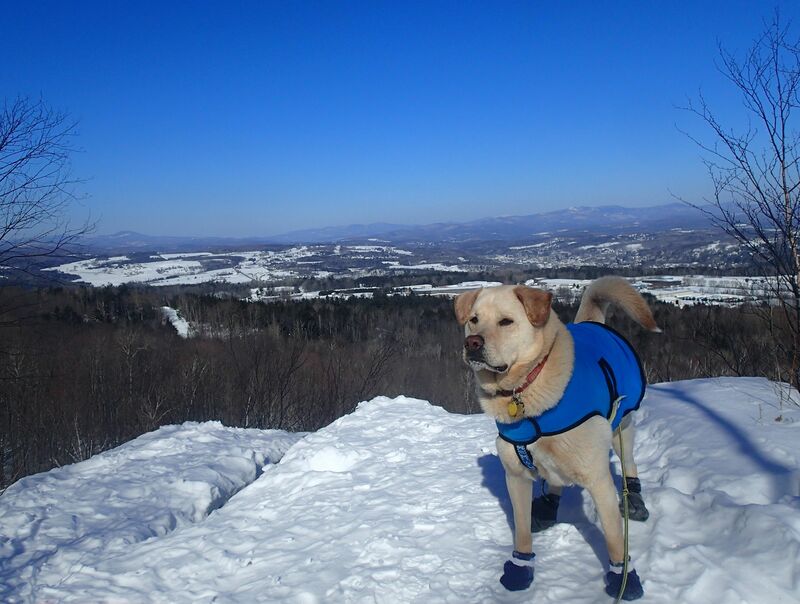 Well we survived February…the second coldest February on record here, with most hiking days requiring boots and parkas on the dogs. They are SO SICK of wearing booties, and we are SO SICK of putting them on. 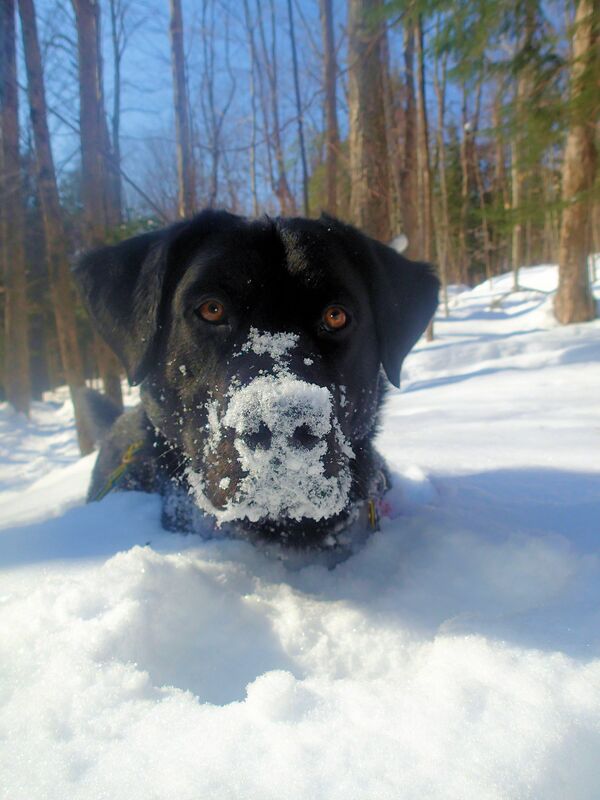 Alas, March has arrived, and with it, the anticipation that we have for an upcoming return trip to Rangeley Maine. 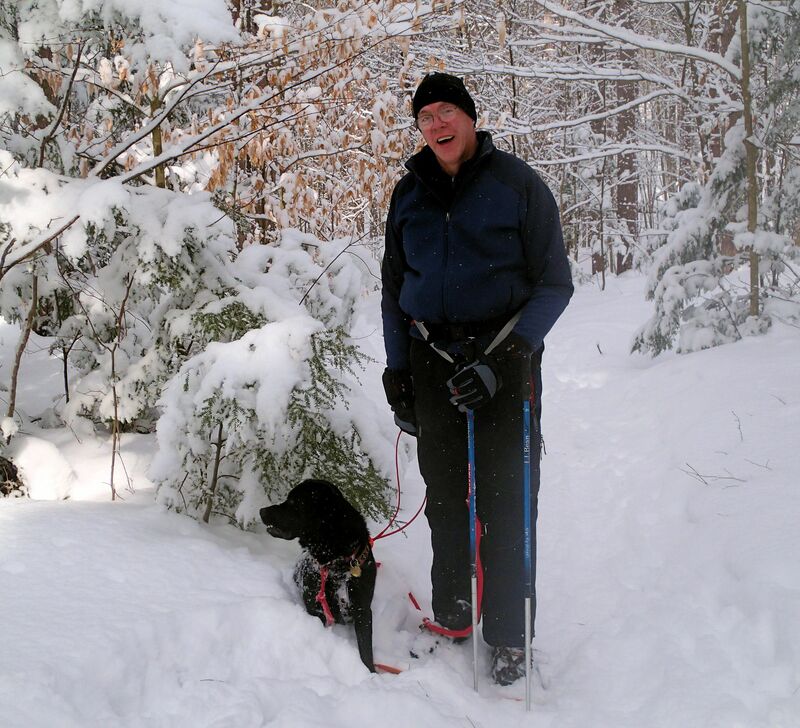 But let’s not put February away so easily…we had great snow all month, and even some bluebird sunny days. 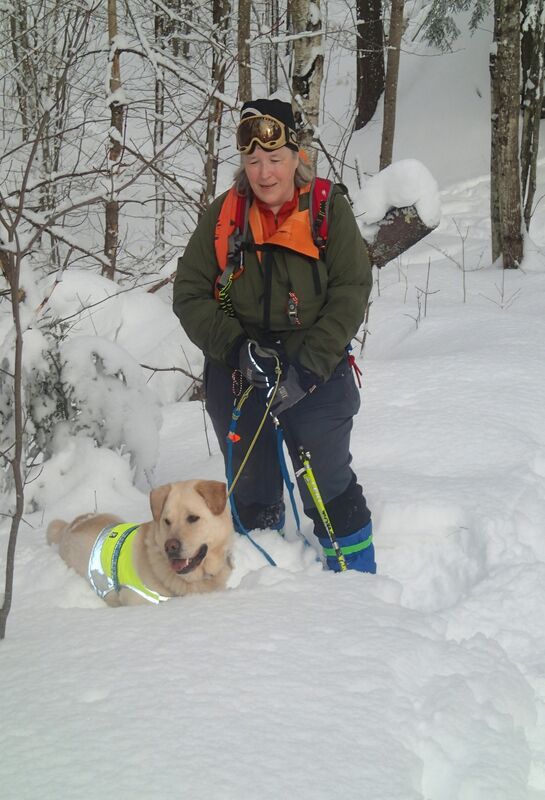 We were able to hike every day except one, and even got in some additional skijoring during the second half of the month. No one was injured or got sick, and we explored some new local areas. 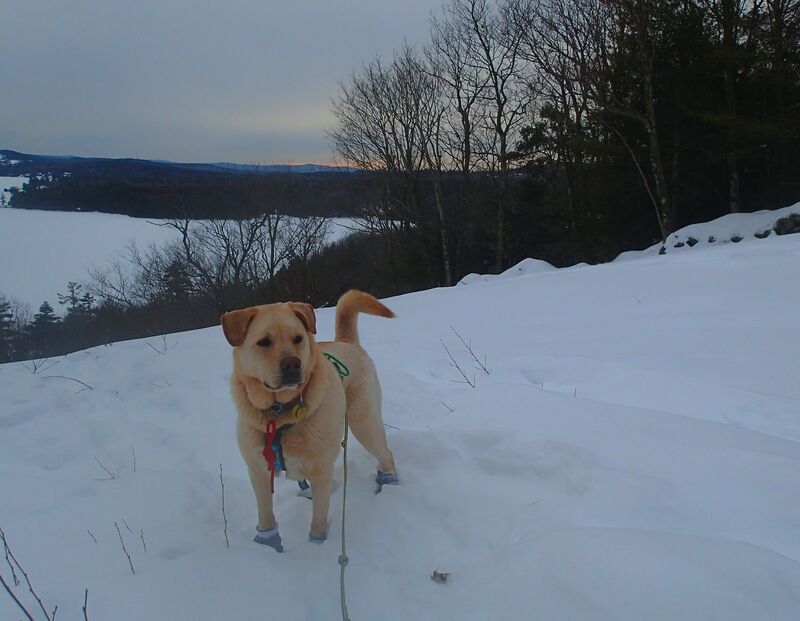 WIndchill well below zero…but with the right gear, even tender-footed Griff can enjoy the snow! 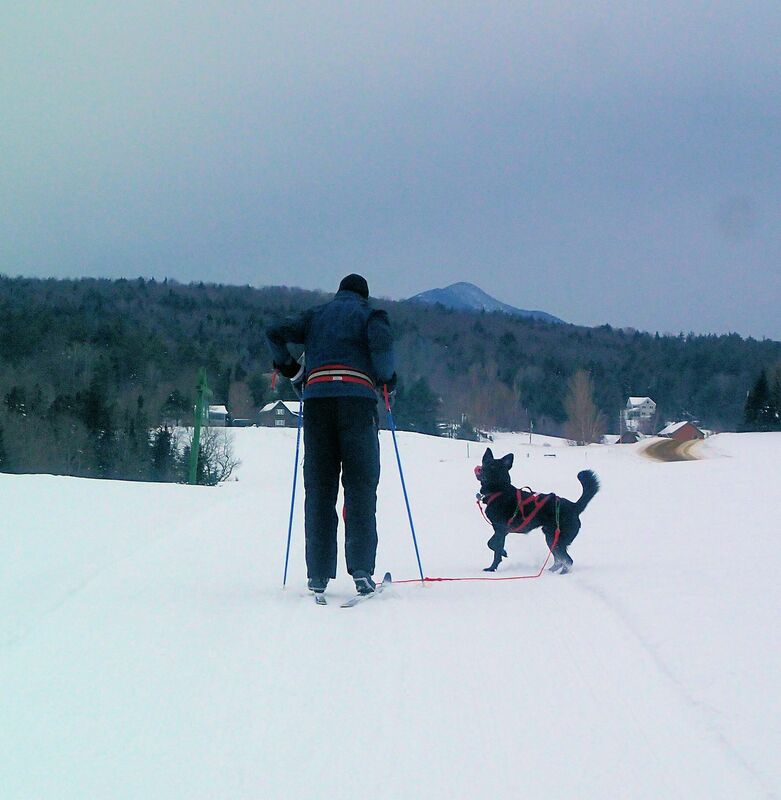 One of the rare days when the temperature hit 20 (f)…perfect for skijoring before the snowstorm arrived. Griff and I made a 3 day trip to New London NH, for a family visit….the bitter cold had returned, so we only did some short hikes, but it was nice to get a change of scenery. We got out for a sunset hike, overlooking Lake Sunapee, which was very nice. 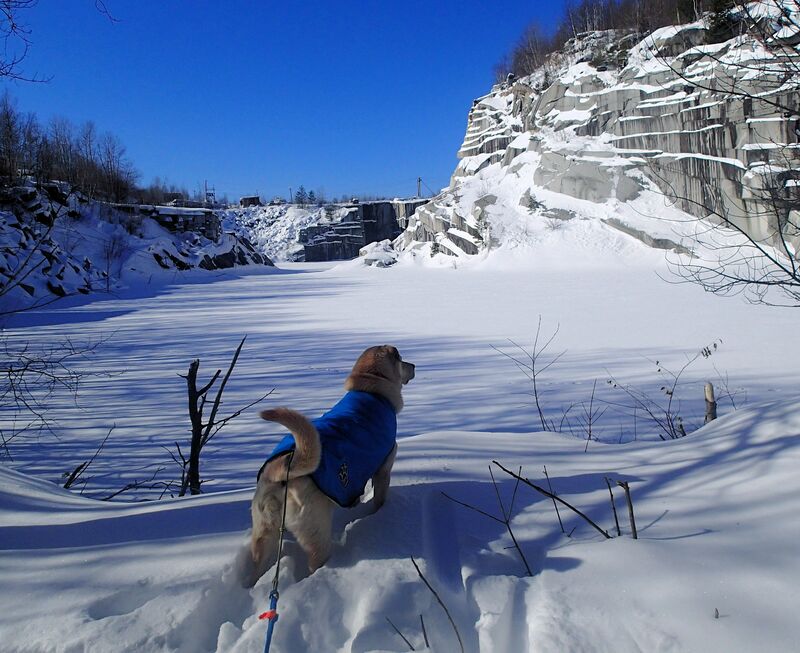 On the way back from NH, we stopped off at Millstone trails, for a sunny, but cold, jaunt on the trails around the old granite quarries. Beautiful views, and we had the trails to ourselves! 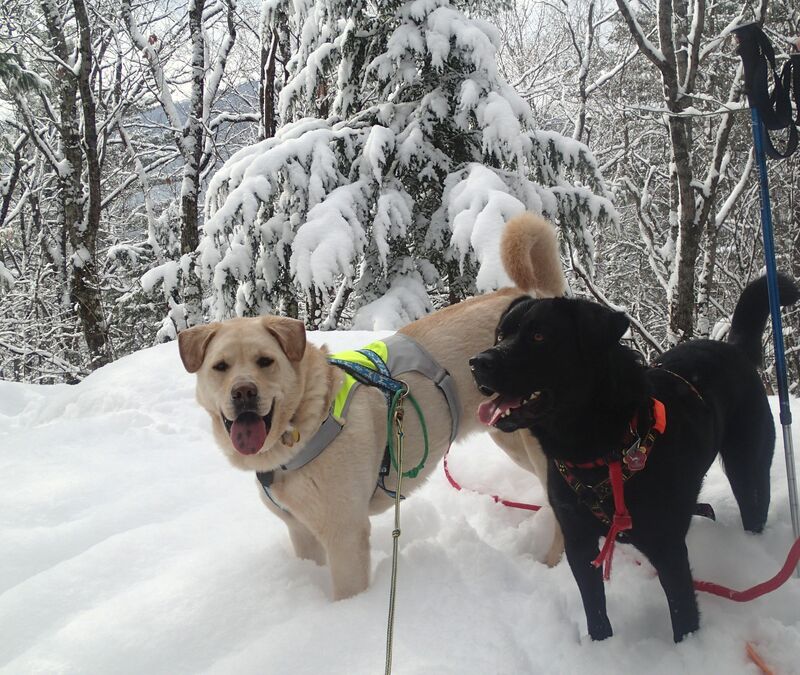 We are looking forward to our responsibilities as Backcountry K-9 Gear reviewers….we are fair, and honest reviewers, and feel our varied activities provide a good platform to assess outdoor gear for dogs. Reviews and gear comments should be starting in late March. March…bringing us closer to canoeing season! Do you think Edgar is ready for paddling? 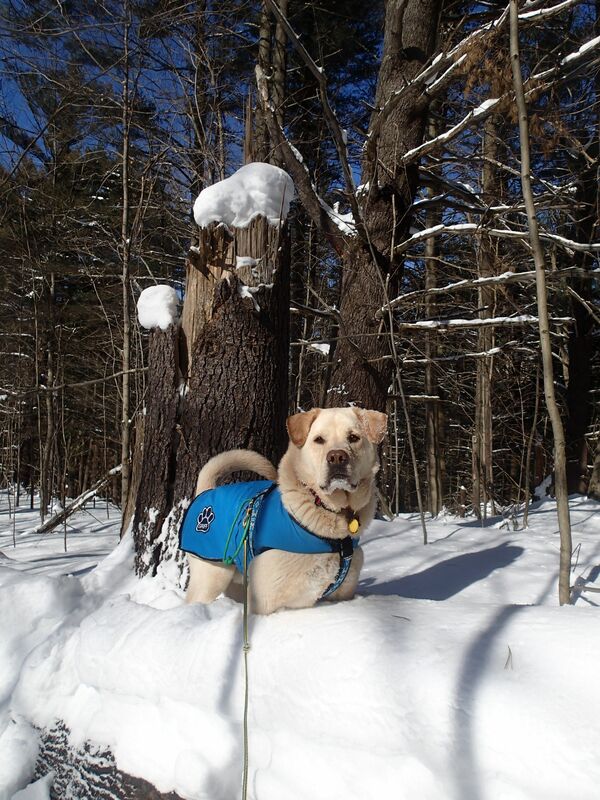 Well, I know that Gryphon is ready…we hiked out to Elephant Rock, and I think he is starting to wonder when we will be canoeing there again…I know that I am! Our involvement with Friends of Waterbury Reservoir has continued…we are working on planning logistics for the April meeting, and we are so fortunate that Willem Lange has agreed to be our keynote speaker ( https://www.eventbrite.com/e/willem-lange-the-best-worst-canoe-trip-i-ever-was-on-tickets-15864254412) We have contributed some of our doggie goodies towards the fundraising raffle, as we feel this organization, still in its infancy, deserves all the support we can offer. So onward we tread, into March. and all the weather inconsistencies that it is sure to bring…as the days get longer, and the sun shines brighter, we are definitely feeling ready for Spring. Thanks for reading!